ALLEGRA BOVERMAN/Staff photo. Gloucester Daily Times. 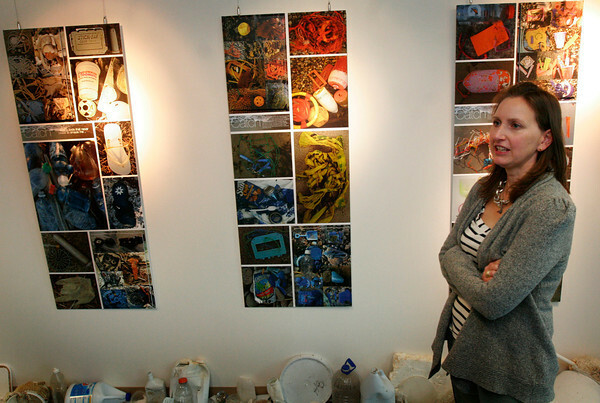 Gloucester: Nina Samoiloff of Rockport collects, photographs, blogs about and makes artistic pieces with detritus and trash she finds on the beach. Her work is currently on view at NOAA.